When the idea for this article first came to be, the initial concept was “advanced framing,” also known to old-schoolers as “optimum value engineering” or simply OVE. But this article isn’t about that. 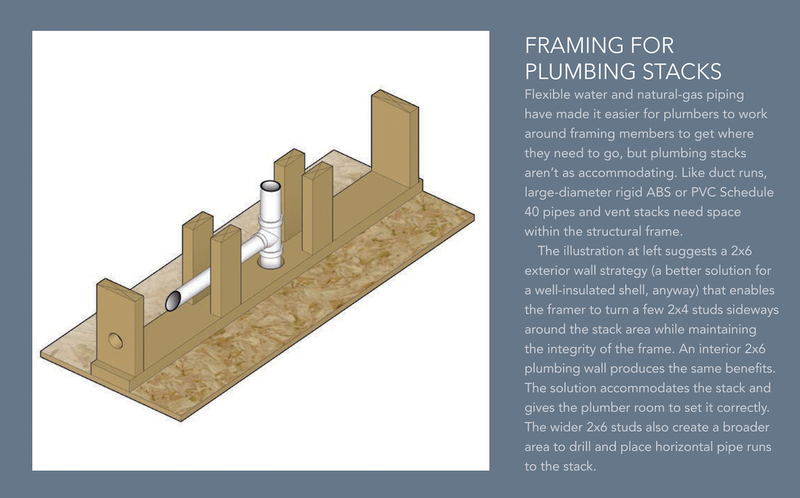 Don’t get me wrong, advanced framing is a great concept and a valuable best practice. 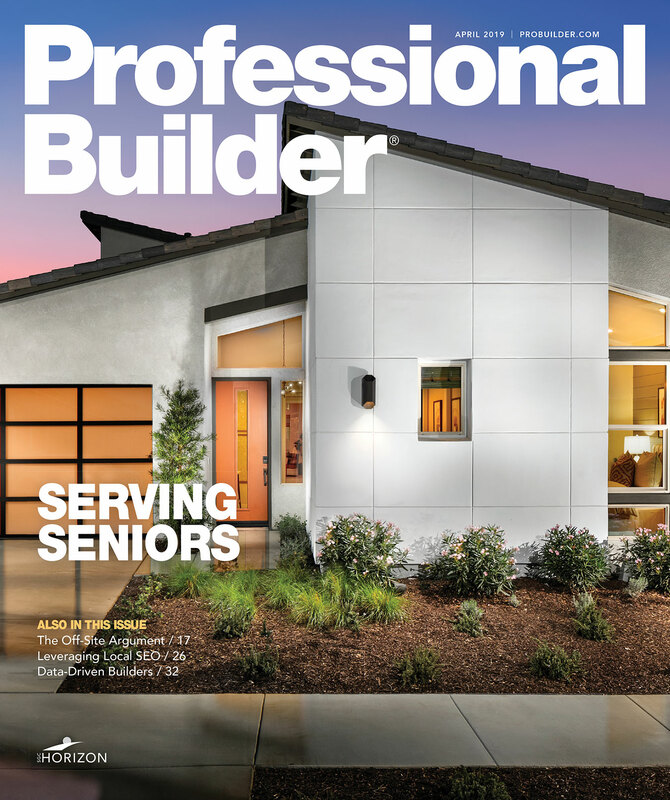 Reducing the number of sticks required to build a high-quality house frame has helped builders combat lumber price spikes, reduce jobsite waste, and achieve greater insulating values throughout the thermal shell. Advanced framing works. But the housing industry’s biggest problem right now isn’t volatile lumber prices or increasingly stringent energy codes. It’s the lack of skilled construction labor, specifically framers. And the problem is only getting worse. I won’t go deep into the numbers or the reasons why, but suffice it to say that builders in many markets across the country, among all housing types and price points, are suffering the aftershocks of the housing bust when it comes to finding enough framers to keep up with demand for new homes. By some estimates, our industry needs a half-million more construction workers right now; without them, builders report rising labor costs, quality sacrifices, slow cycle times, and an uncertain future. So we looked at advanced framing through the lens of the labor shortage, thinking perhaps that fewer studs, joists, headers, and cripples may reduce the amount of time and manpower it takes to frame a house. But our experience working with the field superintendents of several large-volume builders told us that such savings were unrealistic and rare. That’s because advanced framing requires a thoughtful (and thus more time-consuming) approach, at least until it’s embedded throughout your framing crews—itself a tough nut given the transient nature of that trade, general lack of consistent training, and language barriers. And besides, saving a little time on each frame job isn’t really the issue; getting enough framers to the jobsite is. And calling them back to rework what the mechanical, electrical, and plumbing (MEP) trades leave in their wake not only increases costs of labor and materials but also jeopardizes the delicate sequence of events required to bring a home to market—and therefore your cash flow and profitability. As great as it is, advanced framing alone won’t solve the housing industry’s labor shortage; fewer sticks may open up the frame a little for the mechanical subs, but only just. We need to widen the lens, broaden our approach to innovation, and create a culture in which framers want to work for you and will show up when you call. You have a structural engineer working for you, right? A crew of site supers and maybe even a few carpenters on the payroll? And, of course, your favorite (or at least most available) framing contractors. Toss in your in-house estimator and your MEP subs and invite everyone to a sit-down to go over your plans and specs. Timing is critical, and these powwows aren’t a one-shot deal. They start before you break ground on a new model home (especially if it’s a new plan) and continue through the frame walk and after the MEP trades are done with their work. The goal, of course, is to give everyone who has a stake in the structural frame a voice in its engineering and construction and to come up with a final plan that accommodates plumbing, electrical, and mechanical runs before the first load of lumber arrives on the jobsite. It also achieves a balance between structural integrity and affordability while helping stabilize your schedule, steady your budget, and standardize your cycle times. It helps even more if you can create the frame in a digital 2-D or (even better) 3-D environment and overlay the MEP plans on top of it, at which point it should be fairly obvious where the issues are … and how to collectively solve them. Such meetings also serve to encourage esprit de corps across the team, replacing the discord and disrespect among subcontractors that is, unfortunately, embedded in the current culture. Chances are good that, if properly facilitated, pre-construction and subsequent in-process meetings will reveal some significant efficiencies and their share of aha moments—like the fact that engineered I-joists have factory-cut holes for pipe runs and can accommodate duct runs while maintaining the integrity of the joists—that build the knowledge base of everyone involved. Perhaps most importantly, such collaboration creates a culture of shared responsibility and, ultimately, success. That’s a pretty powerful drug that breeds the loyalty you seek from your framer and every other subcontractor you rely upon to build your homes. Believe me, your framers will go along with it, even when change appears counterintuitive in the current labor market. Those I know are committed to following the plans provided (especially if they’ve had a hand in designing them) and appreciate details more than ambiguity. 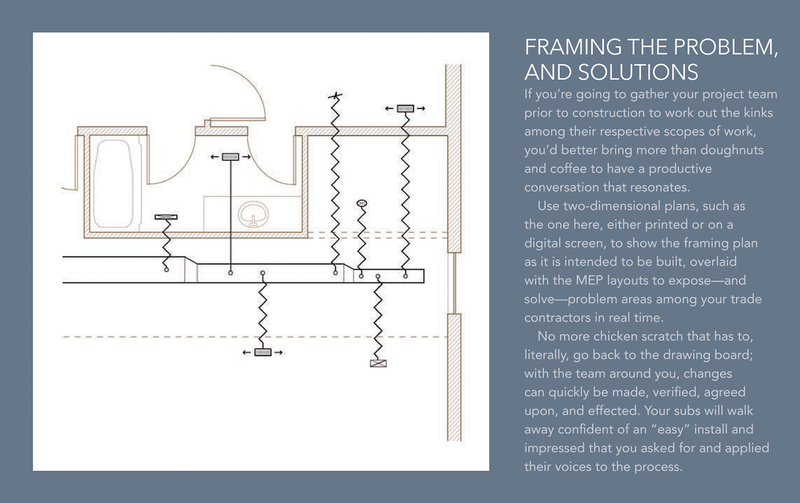 Habitual collaboration among your design and building teams is essential and valuable, but I recognize that you may also appreciate some actual framing techniques that will better accommodate the MEP trades and mitigate rework by your framing crew. To that end, the sidebars throughout this article provide some illustrated guidance for a few methods we’ve found to be effective. 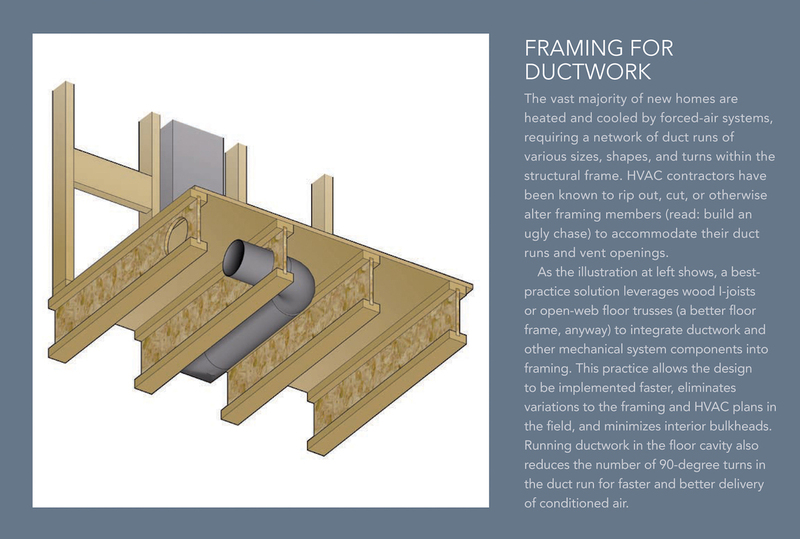 Namely, better ways to communicate effectively with your framer and other trade contractors, as well as framing for ductwork and plumbing stacks—two areas that otherwise often result in framing rework. Ideally, your framer will slowly but surely give up the rework clause (and income) in his contract. If not, don’t be afraid to ask for that once it’s clear that the team is in lockstep and that rework is no longer required. The root issue, of course, is that our industry refuses to transition away from labor-intensive, on-site stick building as its prevailing framing method. Sure, that method can be made better, but it’s not the long-term solution to the current framing labor shortage and its ripple effect on costs, quality, and cash flow. That solution lies in the widespread adoption of systems-built housing, beginning with factory-built framing components and evolving to whole-house panelization and modular packages that put most of the building process under one roof. It’s a future that the current labor woes have brought into focus, but it remains to be seen if our industry will follow that path. Glenn Cottrell is managing director of the Builder Solutions team at IBACOS.